The Cambodia National Mekong Committee is the national institution operating under direct supervision of the Royal Government of Cambodia, for coordinating the management, preservation, conservation and development of water and other related resources in the Mekong River Basin. To play a secretarial role for the Royal Government in coordinating the management, consideration, study, preservation, conservation and development of water and other related resources in the Cambodia Mekong River Basin for overall interest of economy and people of Cambodia and for the sake of peace, solidarity and international cooperation. To investigate and submit to the Royal Government for its perusal all matters related to the planning, formulation of policy, strategy for management, preservation, protection and development of water and other related resources in the Mekong River Basin in a sustainable manner. To coordinate and cooperate with the national line agencies for the sustainable management, preservation, conservation and development of water and other related resources in the Mekong River Basin. 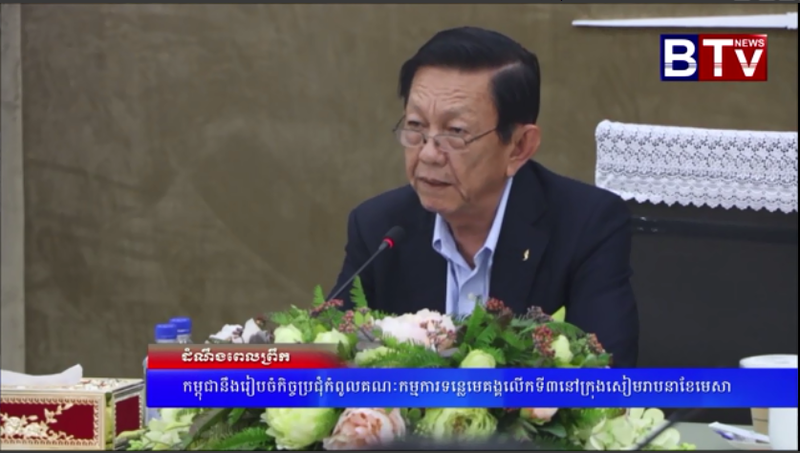 To jointly cooperate with institutions concerned, municipalities, provinces, to implement all relevant decision of the Royal Government relating to the Mekong River Basin. To promote cooperation with National Mekong Committees of all Mekong River Commission Member Countries, Development Partners and various International Organizations in analysis, study, development, management, and preservation of water and other related resources of the Mekong River Basin, consistent with the equal, reasonable benefit for all Member Countries and in line with the policy of the Royal Government relating to the Mekong River Basin. To communicate, coordinate with the Mekong River Commission and Development Partners aiming at mobilizing fund the study and development of projects in a timely and effective fashion. 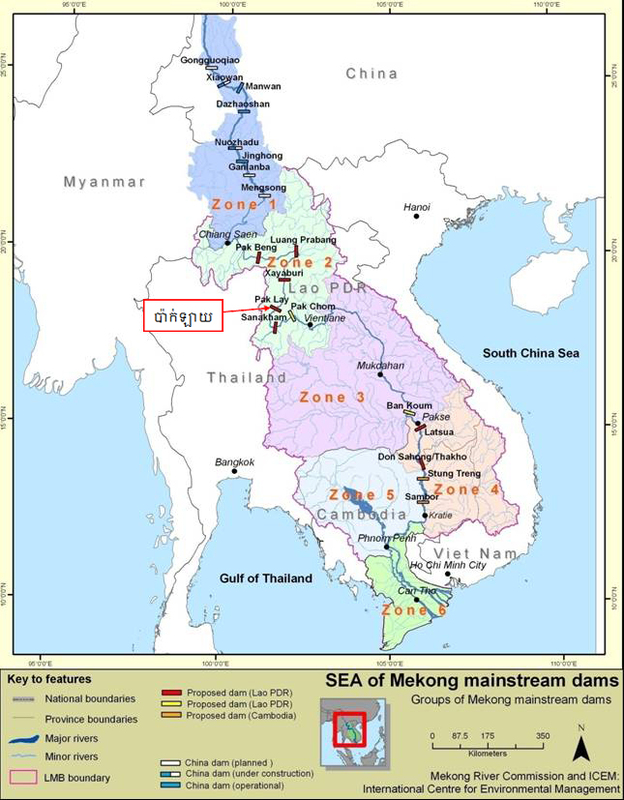 To seek for means and resources to contribute to implement the policy and strategy of the Royal Government relating to water and other related resources in the Mekong River Basin. To promote education, training and public awareness to stakeholders. To perform other tasks assigned by the Royal Government.